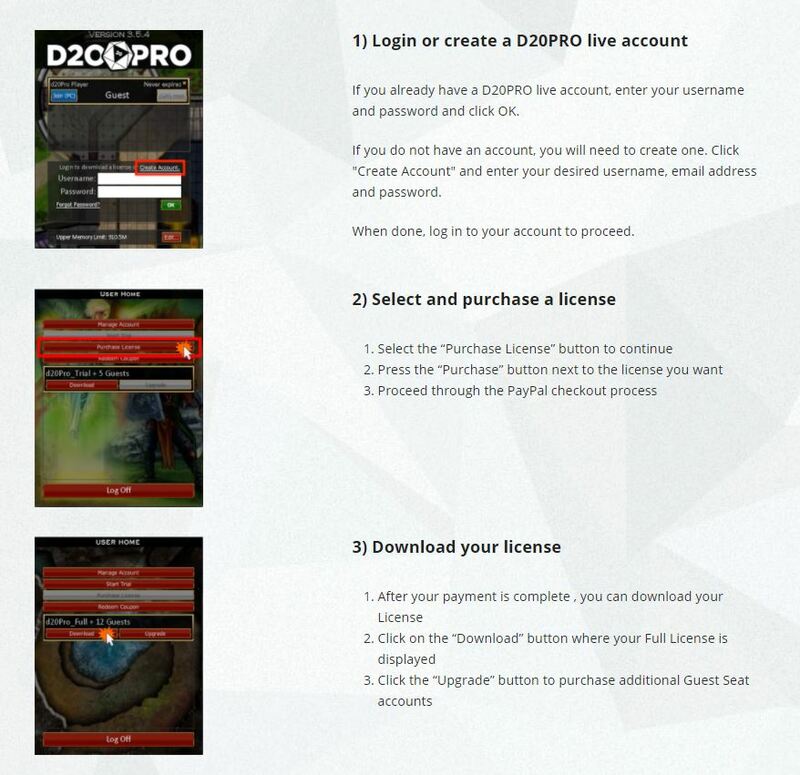 There are three types of Licenses for D20PRO (Trial, GM and Player). 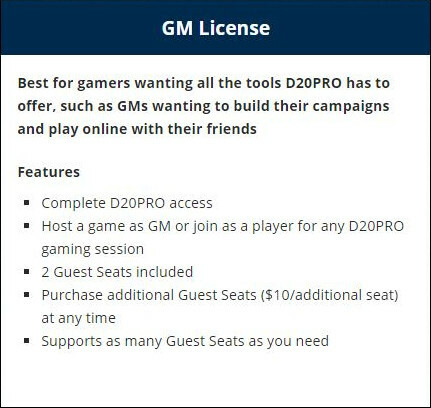 The GM License allows you to host games. Guest Seats: Each guest seat allows a user to connect to your hosted session whether they have a Player license or not. 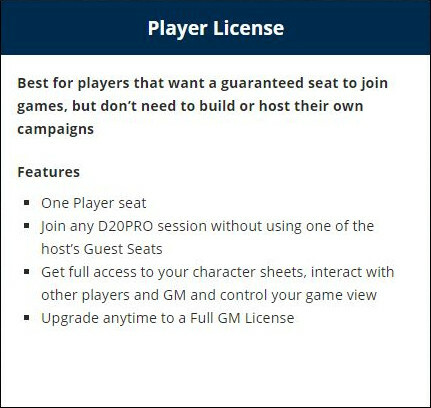 The Player License allows you to join a GM->hosted game and NOT take up a Guest seat. This is a full featured trial License. It is unhampered in anyway and allows you to try the software for 30 days. 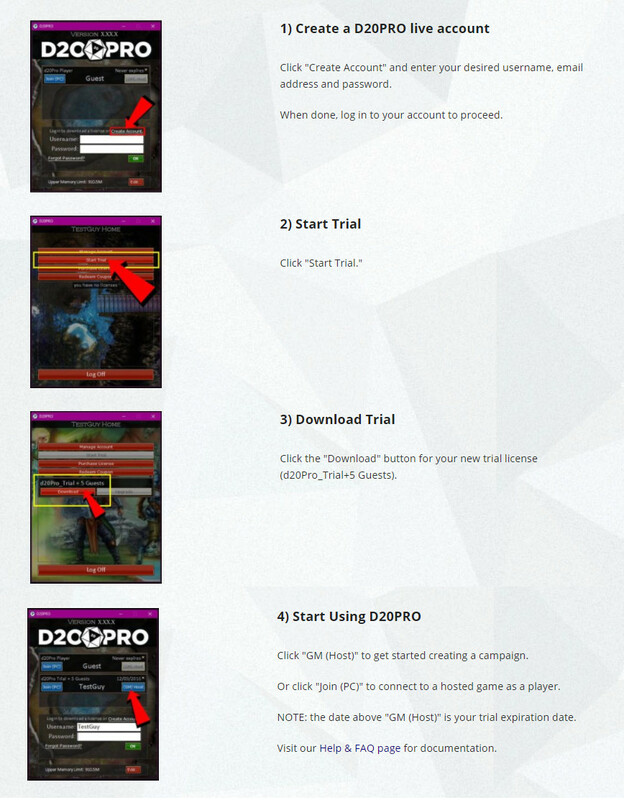 For more detail on how to get the trial please see D20PRO Website: Trial. Purchasing a license is easy to do, just follow these steps. 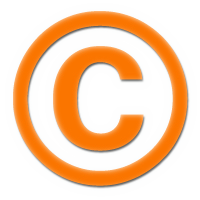 For a more detailed look at License Purchasing please see D20PRO Website: License.